Participating in a marathon—and we’re talking about more than just your local 5Ks around the neighborhood Wal Mart—take serious dedication. It’s not a feat the majority of us can survive, or even have the motivation to attempt. With that strive for success, participants deserve all the support and encouragement they can get. That’s why BMW is showing its loyalty for exercise, perseverance, and charitable support with Bank of America Chicago Marathon sponsorship this year. Cook County and the state of Illinois are waiting eagerly for the Bank of America Chicago Marathon this weekend, on October 12th. The race is one of the six World Marathon Majors, next to other popular marathons in Boston, New York, London, Berlin, and Tokyo. With Volkswagen’s absence this year as a major sponsor of the event (its first in over 15 years), BMW has stepped up to be the sole automotive sponsor of the event. 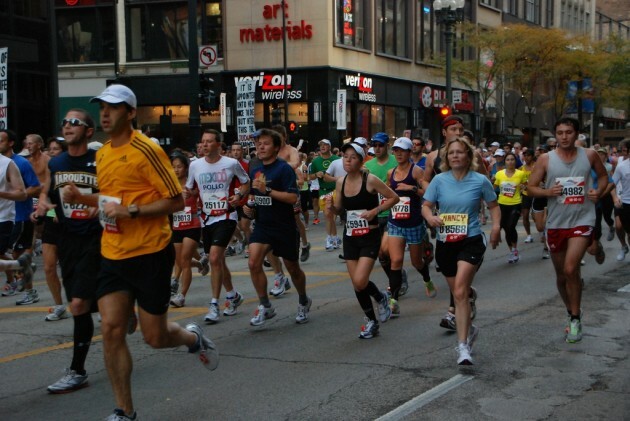 As an associate sponsor, the brand’s Chicago Marathon sponsorship is not as high as Volkswagen’s was, but shows that BMW knows the importance of supporting the almost 45,000 runners estimated to participate. And after the tragic Boston Marathon incident lingering in people’s minds, it’s even more important to make a strong step forward. If you’re interested in signing up for the Bank of America Chicago Marathon, you’re a bit late, unfortunately! The race, scheduled for early Sunday morning, October 12, 2014, already closed its registration period; but if you want to participate, there are plenty of opportunities to offer supper to the runners! The wheelchair, handcycle, and disabled athletes will start ten minutes before the first wave is let loose at 7:30am, followed by the second wave at 8:00am. Spectators won’t be able to access Grant Park until 9:00am. Runners will start and end at Grant Park, making their way through almost 30 of Chicago’s neighborhoods. “On Sunday, October 12, 2014, runners from all 50 states and more than 100 countries will set out to accomplish a personal dream by reaching the finish line in Grant Park,” stated the media release for the event. This year will be the 37th anniversary of the marathon since it’s inception in September 1977. 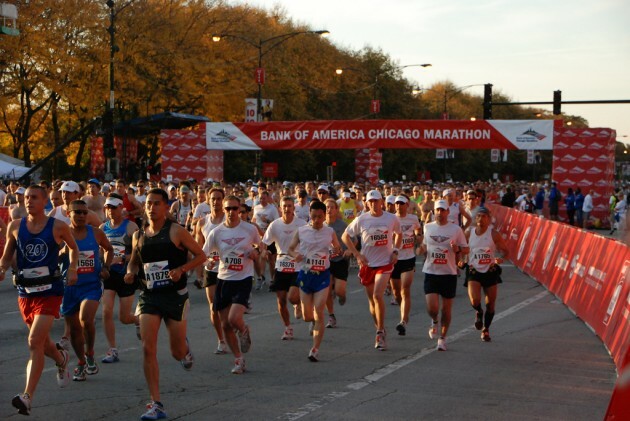 Many are hoping that the charitable fundraising for 2014’s event will rival the over $9 million raised in the past years, thanks to overwhelming Chicago Marathon sponsorship.